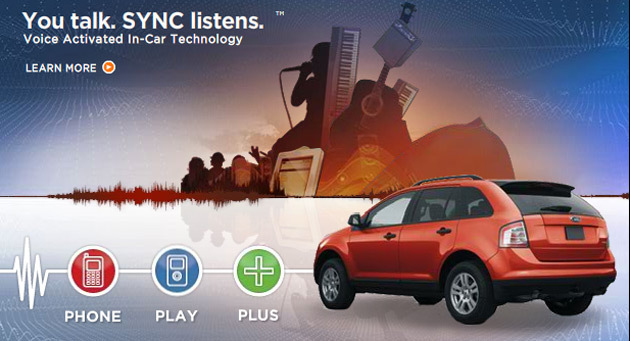 BRIGHTON, Mich.- Of the many amazing benefits of driving a new ford vehicle, one of the great perks is the convenience of Ford SYNC and SYNC with MyFord Touch. With Ford's new infotainment system your music, phonebook, and more are all at your fingertips so you can keep your eyes on the road and hands on the wheel. Plus you can use the voice-activated system to control the tunes, adjust the climate, and make phone calls. The color-coded 8-inch SYNC touch screen makes things easy too if you prefer to navigate your entertainment that way. But before you can take advantage of all of the SYNC features, you need to pair your compatible smartphone with your vehicle. Don't worry, it's very simple and we show you exactly what to do in the video below! So take a look and learn step-by-step How To Pair Your Phone with Ford SYNC so you can stay connected behind the wheel! Do you have questions about how to pair your cell phone with your vehicle's Ford SYNC System or about how one of the features works? Just stop by your Brighton Area Ford Dealership, we'd be more than happy to help! Or, you can visit www.syncmyride.com for more information. Come visit us to learn more about vehicles equipped with Ford SYNC like the 2013 Ford Fusion or 2013 Ford Taurus. Brighton Ford is located at 8240 Grand River Ave. just north of I-96 in Brighton. We are a family owned and operated business that strives for customer satisfaction. For more information on Brighton Ford visit BrightonFord.com or give us a call at (800) 836-8206.